"Pennant-Winning Battery of Songland" compiles the first recordings made by Jazz Age superstars Gus Van and Joe Schenck. The collection features 28 selections recorded between 1916 and 1918 and includes a 28-page color booklet with biographical notes by vaudevillian and author Trav S.D. that trace their rise from boyhood friends performing in Brooklyn to vaudeville superstars. The booklet also includes full discographical information for the featured selections and lots of images of both the duo and the recordings. 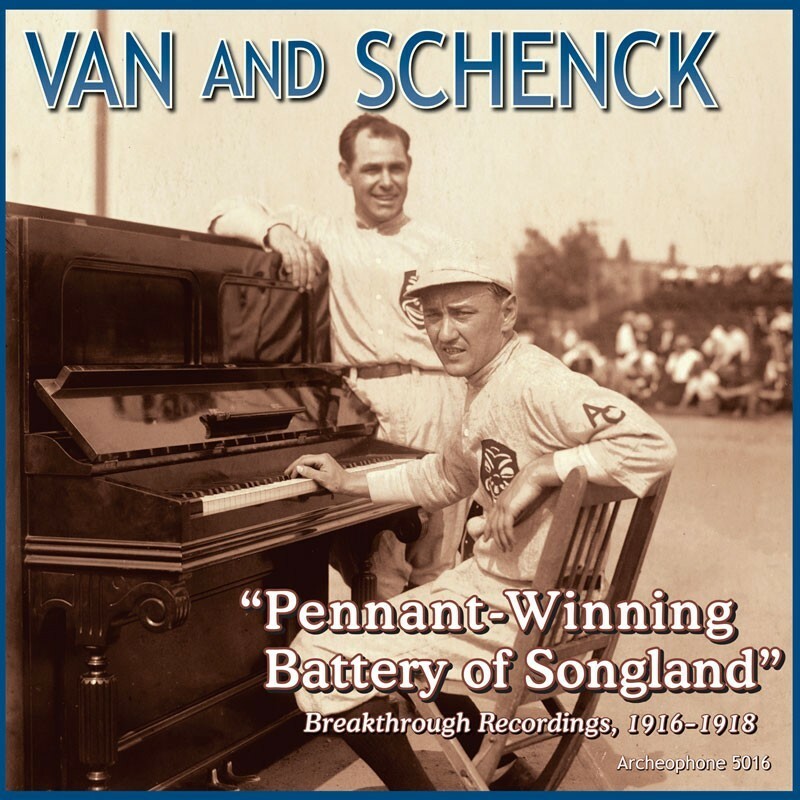 Visit Pennant-Winning Battery of Songland's expanded catalogue page to see the complete track listing, read an extended description, and listen to sound samples.